Imagine resting in a hideaway amidst the tree branches, waking up to the sound of chirping birds and walking into the lush forest as you step out of your room. Yes, indeed, you are in a treehouse! Since resorts, hill stations, clubs are becoming common and overcrowded, where else can you spend a peaceful weekend? 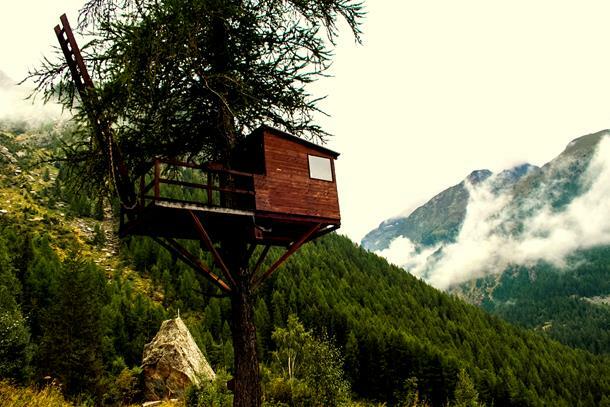 These are some of the famous tree houses in India where you can peacefully spend a few days. 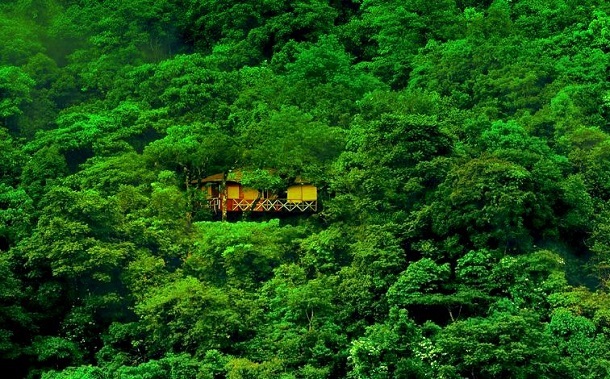 It is one of India’s largest Tree House Resorts. Elegant and exclusive is what comes to mind when you first see the resort. 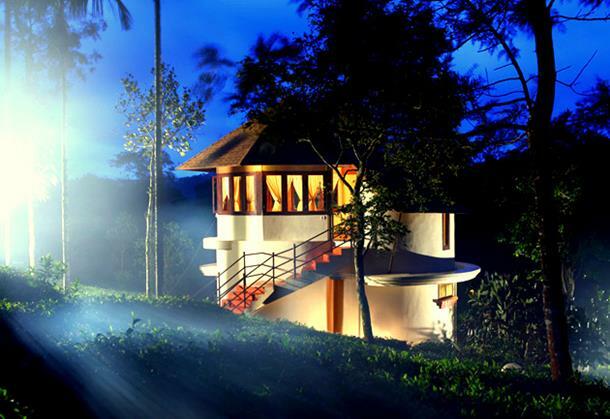 Located in Wayanad, a mountainous path takes you to this haven in Kerala. Variety of birds, mammals, fish and plants inhabit in this dense rainforest. This resort offers a variety of facilities like spa, health centre, ayurveda centre and swimming pool and many more. Hence, it is a perfect holiday destination for a family as well as couples. 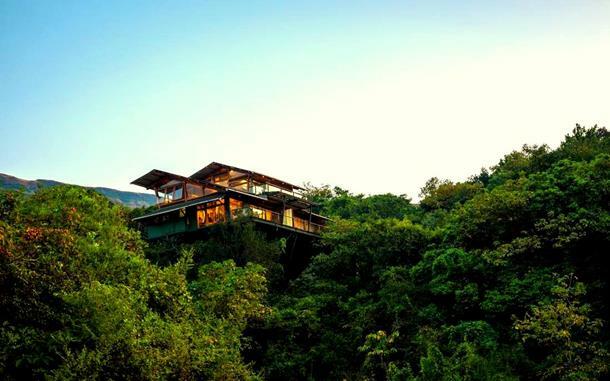 It is a luxury eco-resort with tree houses rising 30-45 feet above forest. If you are looking for a serene place to relax and run away from your hectic schedule, Machan offers a wide range of tree houses you can select from. Located near Lonavala in Maharashtra, this place is very secluded from the hustling chaotic stress of city. 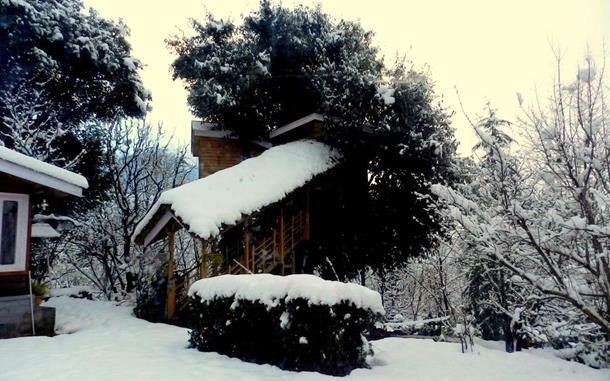 Located in Kullu district of Himachal Pradesh, this place is truly one of a kind. This cottage gives a very home-like feeling; it is completely modern, yet an authentic wooden house will warm your heart. You can enjoy the breathtaking view of Himalayan Mountains. It’s quite ideal for honeymoon couples as it has very cosy and romantic atmosphere. The tree houses here are a combination of contemporary and comfort. 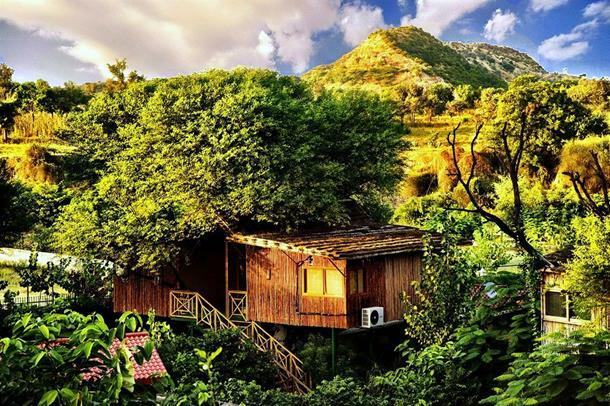 Located at the foot of Syari Valley, this resort offers an amazing view of Aravalli mountains. It has all the luxurious required for a grand living at your service. Just sit back and enjoy the beautiful aroma of nature. You will yearn for more and would want never want to escape from the lap of Mother Nature. Located in a village near Thekkady not far from the backwaters of Munnar, this stylish, eco-friendly resort is set amidst tea and cardamom plantations away from hustle-bustle of the crowds. Carmelia Haven’s Tree Houses are set high above canopy of trees; those who have an adventurous streak will find much thrill in the height. They also offer ethnic theme furnishings and state-of-the-art in amenities. Located in the Bandhavgarh district of Madhya Pradesh, this luxury wildlife resort is perched on 5 exclusive tree houses spread over a 21-acre land. This place is the residence of birds, reptiles and animals around the forest. You can either remain undisturbed in your room or explore the wild animals and birds in Bandhavgarh Tiger Reserve.